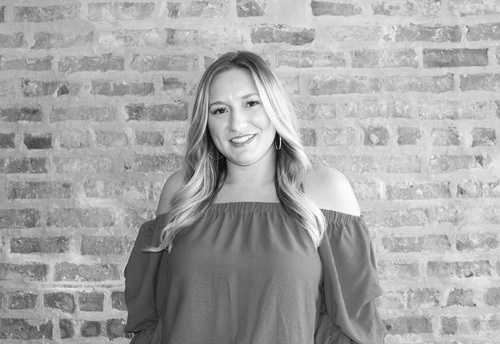 Gianna Fontana (Account Coordinator) comes to Heron after spending time on the editorial team at Michigan Avenue Magazine and serving as Director of Marketing and Media at an upscale hair and beauty boutique in Chicago. Her experiences in each of these roles earned her a strong understanding of clear and strategic communication, as well as what it means to be a great storyteller. During her time on the Heron Agency team, Gianna has worked on a variety of exciting and successful campaigns including Orangetheory Fitness, Uncle Dan’s Thanksgiving Day Parade and the Chicago Boat, RV & Sail Show to name a few. She has secured placements for clients in outlets including Forbes, FOX32, Eater, Meetings and Conventions Magazine and Chicago Parent. Growing up a competitive figure skater in a hockey-obsessed family, it’s no surprise you can find Gianna cheering on the Chicago Blackhawks when she’s not in the office. She currently resides in the West Loop neighborhood and loves making the trip back to the suburbs to spend time with her big, Italian family.